When the time comes, the same every year, the Santa Ana winds blow in and bust up a firestorm. This year that has been exactly what they did with what is known as the Woolsey fire in LA county. The Woolsey fire was quoted as “the worst wildfire in its modern history” by lacounty.gov mainly due to the fact that it killed three people and has burned over 96,949 acres. The dense smoke it produced is known to be the dirtiest air in the world. The fire destroyed many homes and building its path. Luckily, for all of the people that were evacuated, the Woolsey fire was, according to the California Department of Forestry and Fire Protection, 100 percent contained on Wednesday, Nov. 15, and since then, loads of families have been able to go back to their homes. It’s hard to imagine that some silly little winds could cause so much damage, but after this fire, and several more that happened this year, people will be taking the Santa Ana winds a little more seriously next year after seeing all of this horrible damage. Disclaimer: This is an editorial/op-ed and therefore the writer’s opinion. It does not necessarily reflect the opinion of Stacey Middle School, The Cougar Chronicle, or its editors. Everyone knows about Girls Inc, the frivolous program where it’s main purpose is to empower women and ensure they have a happy and successful life. But is it necessary? No, it’s not; and here’s why. During PE on multiple occasions, girls are invited to a meeting where women discuss matters and the oppression of women in America. This is absolutely ridiculous. The people who run the program seem to think that women in America are oppressed in some shape or form. “Focusing on the whole girl”, is a quote that comes directly from their website. This entails only what can be assumed as the notion of girls not being whole in this society. This year, many toys are being purchased for Christmas. 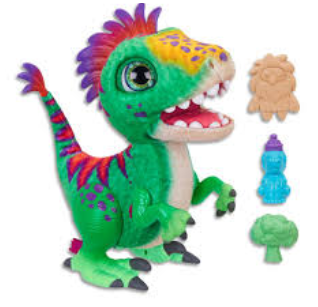 These include LOL Surprises, Pomsies, FurReal Dino Munchin’ Rex, and much much more. Many of these toys are the hot, new thing for children that live all around the world. LOL Surprises are dolls that kids aged around four to eight enjoy. They are a small ball with a doll and accessories inside, wrapped with a plastic wrap that is decorated to appeal to the eye. Inside, there is a doll with things like dresses, hats, bows, shoes, and much more. There are LOL pets, Little Sisters, Big Sisters, and more. With LOL standing for Little Outrageous Littles, they are tiny and can easily get lost. With the largest LOL Surprise pack, they can cost up to $69.99. Someone has passed recently who have affected many of our lives. He was the editor of Marvel and was labeled as everyone’s real-life superhero. Stan Lee was born on December 28th, 1922 in Manhattan, New York City. In 2006, he said as a child he was influenced by books and movies, particularly with Errol Flynn playing heroic roles. His revolution extended beyond comics and storylines to the way in which he engaged his readership and built a sense of community between fans and creators. Simple stress is something that everyone has faced or will face at some point or another. It’s everywhere. From a student’s grades and homework to a parents bill’s to the crazy politics of the world we all face, stress is a normal thing to feel. However, if your life is full to the brim with stress and anxiety, it might be time to learn some coping mechanisms. 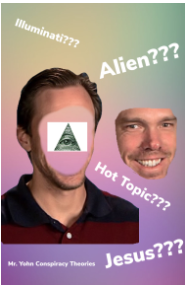 It may seem obvious when asking if Mr. Yohn is in the Illuminati. There are many sources that the journalism investigative team consisting of Gavin Mercado, Grace Baer, and Annabelle Lona have found. While we are aware that Thanksgiving has passed, it is always worth discussing making our breaks from school longer, right? So here goes. Thanksgiving is the best time of year to spend with families and friends. Cooking that golden turkey in the oven. It’s smell soaring through the air, flying with the birds. Students come home and get a week off from school to see their families. But what if that break could expand? One Starry Night, hosted by Ms. Thach, Mrs. Ortega, Mrs. Valverde, and the students from AVID is upon us. They have been preparing for the December 12th spectacular. An inside look of the dance will definitely show everyone how much work and time has gone into it. Just in 2017 alone, 65 shootings were reported on school campuses. These incidents have caused many deaths and are some of the most heartbreaking occurrences ever. Students go to school every day with the thought in the back of their mind that there’s a possibility of a shooting occurrence. Parents have similar fear no matter what school they have their child attend. How could we stop the violence and fear? Ukulele Club is a club that calms your senses while playing beautiful music, taught to you by one of Stacey’s physical education teachers. Mr. Thorsen has been playing the ukulele for many years, and he has an amazing story to tell how it all started for him.